I've got a '94 and when I put it in 4x4 now,there's a jerking and popping noise in the front,sounds like left front. What lubricant and how much do you put in the automatic lockers? Last time I had it apart I might have used too much,not sure. I used wheel bearing grease by the way. Not sure if it's from too much or too little lubricant or maybe even the wrong kind. The manual lockers I put in my wife's '99 just took a few drops of oil and I found out too much oil made them stick,I'm wondering if it's the same with the automatics or maybe it makes them slip. If you still have automatic locking hubs from 1994 I suggest you consider tossing them in the trash. Go get some manual hubs and hardware from the junk yard or online and convert your 94. The auto hubs are weak and problematic when you need them the most. They just were not that good as they rely on plastic parts to lock the wheel/rotor to the drive axle. Warn or Ford make awesome manual hubs. If you go the junk yard route you can also get some knuckles/outers from a 96-97 Ranger, they had larger brake rotor, dual piston brake caliper with no slide pins = bonus. The auto and manual hubs do not get packed with grease, ever. What I do is clean the inside of them with ATF to help remove any debris or gunk that builds up inside of them. You fill hub with ATF and turn it from lock to unlock like 5o times, then drain the atf and let the hubs drip dry for a few hours before re install on the truck. Why can't there be Manual Hubs for an '03 ! 410 interesting Lube procedure, I will probably never have another Truck less than 2010, but I like your method. My problem is the T/C locks in LOW and it is hard coming out. Tried spraying lube on the what I could see but no help. Probably the solenoid going bad and as you say about the Hubs, it will fail at the worst possible time ! SH, good to have these guys around that know how to mechanically upgrade Rangers. 2003 Edge in your sig? miles? Your electronic shift or manual shift t case? Does not want to come out of 4 low? I assume you are stopped and are not having issues getting in and out of 4hi. Try backing up a couple of feet does that help? We are looking for binding in the drivelines/t case that may cause it to be locked in 4 low. 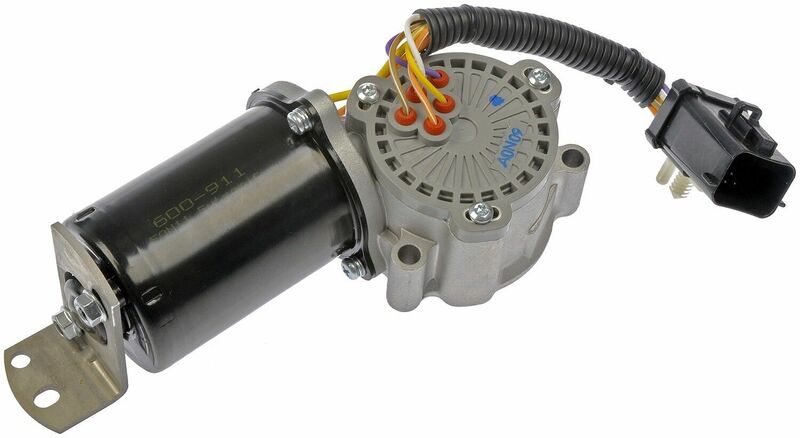 The top housing of the electronic shift motor has a little bit of adjustment that can be done to help correct this. The '03 Ranger, 95K, is OEM Stock for the drivetrain, auto hubs, electric T/C Shifting. No binding and yes I know about the backing up, doesn't work, so I jerk it back and forth, move forward hit the brakes and go again... it will release after a while. I assumed it is the Solenoid, just another thing to procrastinate about, the 4-High works great ! I took it apart and wiped the grease out the best I could and let it soak in ATF like you said and then let it drain overnight but now the front end doesn't engage at all,no popping or anything. I'll try taking it apart again and clean it all out with break parts cleaner if I have any and see if that helps. I won't have the money for manual lockers probably until my tax return,by then winter will be pretty well over. squirrelhunter wrote: I took it apart and wiped the grease out the best I could and let it soak in ATF like you said and then let it drain overnight but now the front end doesn't engage at all, no popping or anything. I'll try taking it apart again and clean it all out with break parts cleaner if I have any and see if that helps. I won't have the money for manual lockers probably until my tax return,by then winter will be pretty well over. Switch over to manual hubs and get it done with ! 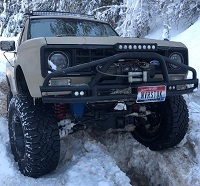 My '88 had manual hubs, never regretted having to get out and lock them up. You are lucky to have Ranger that can be converted to Manual Hubs, y '03 can't ! Have you gone under the truck to test things out? Put the t case in 4wd and you should no longer be able to spin the front shaft, it should be locked up with the rear. You are lucky to have Ranger that can be converted to Manual Hubs, y '03 can't !I will when I get the money,that's the problem with me since I'm living on SS. No I haven't done all that but I will,I bet it shows it's the hubs though. I know there's power to the back wheels in 4X4 and until just recently when the popping started the 4X4 worked fine,but it's better to be safe than sorry. Not that changing it over to manual lockers is sorry . You can get the hubs and hardware at the junk yard? Or local craigslist? There are so many 89-97 Rangers and Explorers w these hubs out there. I grab 3 so you have a spare and do not forget the inner, outer spindle nuts and lock ring washers. Should be around $80-100 at JY? To convert to manual from auto you will need some brake cleaner and a strong small magnet. W the auto hub setup there is a small metal key/lock inside the spindle groove. To get this out easily you want to spray the whole thing with brake clean to remove all the sticky grease, then slide it out w magnet. I've got a magnet,I've had it apart several times repacking the bearings,adjusting it,changing CV joints etc. I'll check around the junk yards,there's a couple around here that carry parts from older vehicles but there a couple that only deal in newer vehicles too. It's the passenger side locker that isn't working so all the power is going to it since the front differential is an open 1. If I had a limited slip differential I'd still have 1 pulling up there. Is it possible to put a limited slip in the front or is it advisable? I'd say you probably could but not sure and don't see what it would hurt but than again not sure. Sweet now you know where the issue is and how to fix! One of the junk yards here says he thinks they've still got some manual ones,he knows they have automatic ones and I said no I wanted to change mine over. He said he'd check on them and they would be $20 a side. $40 sure beats $219. I think I'll pick up 1 automatic 1 though too for an emergency situation if the manual ones ever go out I can temporarily change it back to automatic until I can get more parts. I'll probably never need them but I like having spare parts laying around. Good Luck on the swap. Thanks, but why do you say that,hard they hard to swap? They aren't are they? No, sorry that you got that idea, I am not saying "Good Luck" because it will be a hard job, more of just wishing you an easy switch over. Take your time, and "Do It Right The First Time" ! I have never done the swap, so my only concern would be in gathering of the needed parts. Mechanically speaking, I would think if all of the bolts come out easily, and all the parts are not stuck in place, then it should be more time consuming than anything else. Make sure to talk to someone that has done the swap, maybe 410C, another one might be "Ron", from the other Ranger Site, find out any problem areas, maybe get a parts list, replace all of the wheel bearing, seals, and if you haven't done it already, and while it is apart, check and replace the Ball Joints. When I had my lift installed, I replace everything that not only needed to be replaced but anything that was taken apart and could be replaced. My truck, after some tweaking, ran solid and straight ! My thought is change anything that can wear, while the truck is apart... saves time and in the long run money ! How's this: " I hope your Manual Hub Conversion goes easy for you and all of the parts fit as if they were built on the truck" ! LoL... ! p.s. Pictures, pictures, pictures and if you get the time more pictures, and maybe a write up. Is there a "How-To" on replacing Automatic Wheel Hubs with Manual Wheel Hubs ? I would be interested to read one, just for grins ! Ends up the junk yard double checked and they don't have any so I'll get the new ones for $219 after my taxes come back. It looks like they just replace the automatic ones so there won't be any ball joint,bearing replacement needed. Just a matter of popping out the old and in with the new. Yes the difference between auto and manual hubs on the old TTB trucks are the spindle nuts. The wheel bearings / auto hubs are retained to the spindle with a "drift" or metal key that sits in the slot in the spindle, they use a funky plastic spindle nut setup. You are going to remove all of that stuff when you convert to manual hubs. 2ea inner spindle nuts, 2 ea lock ring washers, and 2 ea outer jamb nuts. It says it comes with all of it but I'll find out when I get it. I noticed they had some used Warn manual hubs that they also had a spindle nut socket wrench,will I need that for mine too? I assume I do,if so I'll have to pick 1 up somewhere. Get pictures of what comes in the kit and what extra you need to buy and the steps you did to do the job. Write down what you did and make up a How-To ! If you don't want to do a writeup but you have all of the pictures and info let me knoW, I will write it up for you and e-mail it back to you so you can post it. I think this is a good How_to for sure, there will be others wanted to do this. Page processed in 0.2874 seconds (17% database + 83% PHP). 131 queries executed.